If you have been searching for a top web hosting provider, chances are you have already heard of iPage on numerous occasions. That is because it is one of the most well regarded hosting providers in the industry today and for good reason. iPage has built up over 1 million satisfied customer accounts. They have done so by quite literally dominating in each category – features, customer support, ease of use, website building and reliability. Furthermore, aside from the occasional sale by various hosting competitors from time to time, there is no major web hosting company that offers a better price than iPage. This is just one of many elements that factors into the stellar value proposition offered by iPage. From beginner webmasters to small or large business users, iPage has a range of comprehensive packages for anyone looking to host a website. While all of the above mentioned features are great, iPage really impresses with their top level security features. At no additional charge, they provide an enhanced security suite for your site which is a $100 value. iPage also continuously scans their network for potential security breaches and you have the ability to run spam and malware scans. iPage’s customer support is first class. They claim on their website that all calls are answered “in about a minute, on average.” So, we put them to the test via their live chat function. We waited for 1 minute and 40 seconds, and chatted with a support representative named ‘Udayakanth S’ who was not only friendly but also technically savvy. That said, iPage also offers high quality phone and email support – all 24/7. They also sport a helpful knowledgebase and user guides. Lastly, you can always contact iPage via Facebook or Twitter. We would also like to mention that iPage offers an anytime money back guarantee. If you are not satisfied for whatever reason, simply get in touch with their pleasant customer support and you can cancel your service within a matter of minutes. 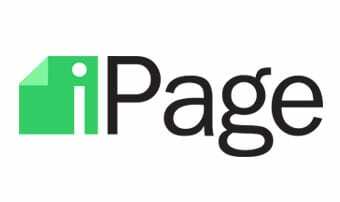 We found it rather remarkable how iPage was able to provide an easy to use experience for both beginner and experienced webmasters alike. While a limited few web hosting companies build their own customized control panels, many offer their customers either the cPanel or vDeck control panel merely because both are exceptionally easy to navigate. However, though both control panels are great, iPage offers the vDeck control panel and we have personally found this to be the better of the two. From the moment you sign up, you are given access to the control panel which has an intuitive and clean layout. It is virtually impossible to get lost as the task icons are set up just like your current PC or Mac icons on your desktop. 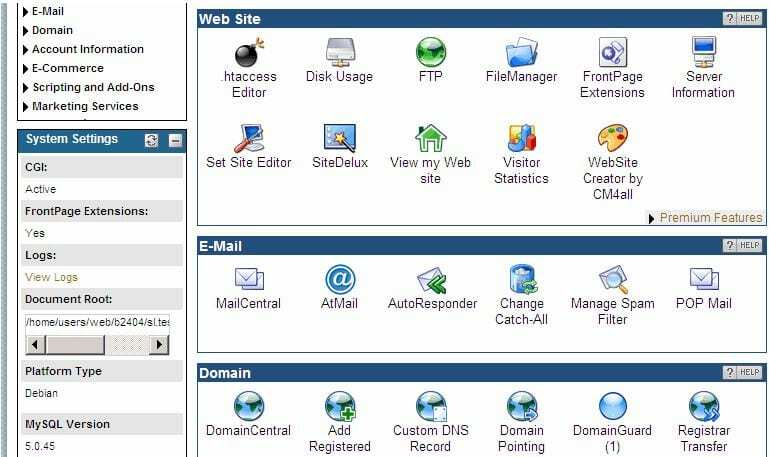 Finding areas such as the FileManager, MailCentral and DomainCentral are laid out on the dashboard. There is no need to search deep inside to find these functions. It is perhaps true that on the surface, iPage oversimplifies the website building process for the more tech savvy webmaster. However, they do have the ‘Features for Geeks’ section which, as noted above, will excite the most experienced user. Also, iPage employs the ‘Drag & Drop’ site builder which does exactly as the name suggests. Drag and drop, and within minutes you can have a fully functioning website. There is no learning curve and people of all technical backgrounds can use this tool. On the standard plan, you have access to dozens of templates and if you upgrade, iPage offers access to over 1,000 templates. Choosing a design within the drag & drop site builder is very easy though you do not need to use it should you be looking to create a more customized site. If you require assistance setting up your blog, iPage provides free blog and photo gallery setup wizards. Additionally, all of the application installations are automatic (a few clicks or less) processes making it a seamless procedure to integrate into your vDeck control panel. 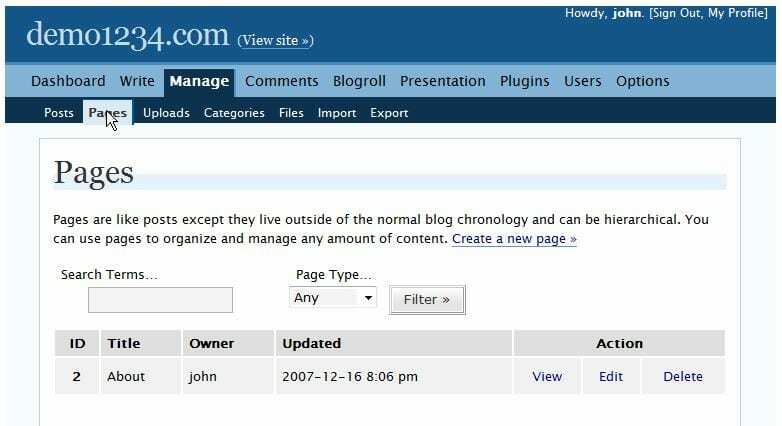 For example, if you are looking to use WordPress as your site’s CMS, iPage makes this installation a pain free experience for you by enabling you to set it up in just one click. More importantly, managing pages within WordPress and other WordPress functions requires no prior experience. There is no such thing as 100% uptime. It is physically impossible for any web hosting company to offer it. However, iPage comes as close as possible by guaranteeing 99.9% uptime for their customers. From what we have noticed, iPage tries to limit the impact of necessary downtime by scheduling it for late night hours. Overall, iPage does not experience any technical difficulties that are out of their hands. There is constant 24/7 network monitoring on their end and iPage uses UPS power backups which ensures your site continues to operate fully even in the event of a power outage. In addition, iPage uses high quality Dell servers that are fully protected and makes sure your site runs at optimal speeds. iPage should be defined as: web hosting meets excellence. The plethora of features and tools available for their customers is outstanding even by professional standards. Couple this with superior usability for both beginners and professionals, maximum reliability, 24/7 customer support and an unbeatable price, and what you get is one of the best web hosting services on the market.